Kendra Kenyon is an Idaho native and 40 year resident of Ada County. She was elected to serve on the Board of Commissioners in 2018. Most recently Kendra was the Director of Strategic Partnerships for Advocates for the West, a nonprofit public interest environmental firm working to protect public lands, rivers and wildlife. She has served as President of the Idaho Council of Governments consisting mainly of county commissioners. 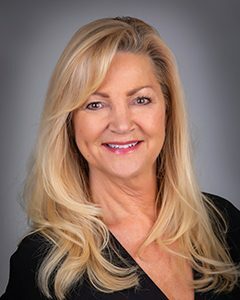 Her other professional experiences include consulting in the private sector, counselor, lobbyist, Boise State University Adjunct Professor and Interpersonal Dynamics Regional Director for the State of Idaho, EAP. Kendra has a Ph.D. from the University of Idaho in ED, Organizational & Leadership Development; a Masters in Counseling Psychology from Idaho State University; a Bachelor of Arts in Communication from Boise State University and a Certificate in International Relations from University of Cyprus Intercollege. Kendra’s number one priority is to manage growth effectively and improve public transportation. Through strong relationships with other elected officials and community leaders a regional comprehensive plan that incorporates and improves open space, clean water, affordable housing, viable transportation options and economic opportunity. She also plans to work closely with community leaders and healthcare professionals to create a long-term, proactive plan to address substance abuse, which she considers Ada County’s biggest public safety issue. She feels improving education, early intervention and creating better rehabilitation services will help reduce the burden on taxpayers that this crisis creates. Prioritizing the highest and best use of 240-acre parcel referred to as Expo Idaho is also a top concern for Kendra. She feels the property is Ada County’s most underutilized asset and could potentially bring in substantial revenues that would help pay for health and safety services and infrastructure by placing the parcel on the tax roll. Funding projects identified in Ada County’s 2018 10-year Master Facilities Plan is also important to Kendra. She will vote to adopt a budget that ensures adequate health and safety services and infrastructure that will continue to meet the needs of the public. Kendra has been involved in the community through the Boise Chamber of Commerce’s Leadership Boise program. She’s a member of the Rotary of Boise and Rotary International Ambassadorial Scholar Alumni. She’s also been a volunteer with Surgical Eye Expeditions International. Kendra raised both her children in our community. Her son is a BSU graduate and local high school teacher. Her daughter is currently a student at UC Davis and will study abroad this year for the second time. To contact Kendra, bocc1@adacounty.id.gov or call 208-287-7000.